Summarizing Jazz is a bit like tackling the proof of the divine or defining irony. Broad in scope, yet uniquely recognizable, you know it when you hear it and might be hard-pressed to distill it and its significance: born in African tradition against the backdrop of slavery, jazz has gifted us with immeasurable talents, touchstones, and legends. 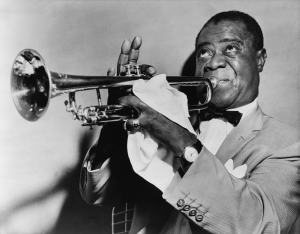 Louis Armstrong, Duke Ellington, Charlie Parker, Billie Holiday, John Coltrane, Ella Fitzgerald, and countless others are embedded indelibly beside each other and each nuanced version of the artform into America’s mosaic and beyond. Genre’s timelessness has made it ripe for rediscovery by each new generation since Miles Davis. As 2018 high school freshman are plunking down cash for vinyl, industry insiders are observing the renewed opportunity for identifying and servicing a fluid jazz listener-base. 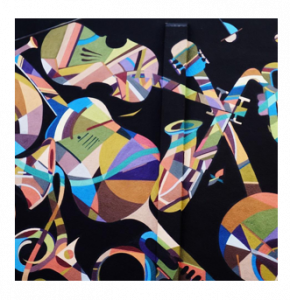 Though transitioning to digital at a mild place, and perhaps not the most obviously digital-ready milieu, the world of jazz is indeed proving its readiness for prime time. Streaming numbers continue to increase, shining the spotlight on further opportunities and initiatives seeking to reach terrestrial radio ears. 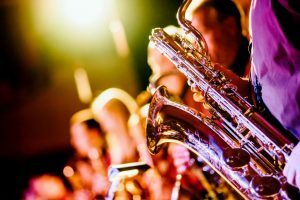 Spotify recently shared with the BBC that the number UK users under the age of 30 listening to their flagship Jazz UK playlist has seen a staggering increase of 108%. It’s a number echoed by Amazon as well as Deezer. “It’s easier for musicians coming from different worlds to collaborate.” Chris Chisholm, co-owner of Chicago’s Andy’s Jazz Club and Restaurant, recently told the city’s Chronicle that he’s observed a spike in millennial interest in jazz of late, noting more have attended shows at his club as well as others in the area including Jazz Showcase and the Green Mill. The appeal may in part be due to the youth of the performers. As co-owner (and brother) Brandon Chisholm noted, some of the finest musicians to perform at Andy’s have been between the ages of 20 and 26. In sync with an artform devoted to perpetual motion, technology remains fluid, adapting to the ever-changing interest of audiences, those both arrived and waiting. To check out the latest in Jazz via Play MPE, login into your Play MPE Player!